A standard procedure for Rapid direct testing of animal waste storage ponds has recently been approved by the Michigan Agricultural Environmental Assurance Program (MAEAP). The concepts and methods of this procedure also may apply to measurement of overall hydraulic performance of other environmental containment structures in general industry including impoundments, lagoons, open tanks, its and similar reservoirs. For more on this new technology, watch the Rapid Direct Seepage Testing of Environmental Containment Structures webinar by clicking below. The NTH-Abletech team offers a formal program to evaluate overall hydrologic performance of impoundments, lagoons, open tanks, pits, ponds, and other liquid storage facilities for compliance with regulatory limits (e.g., NRCS Standard 313 and Michigan Part 22 rules). This program is applicable to a range of industries, including: agriculture, wastewater treatment, power generation, mining, oil and gas, waste management, and water supply. Summary Report - by a professional engineer, documents a quality-assured test with known accuracy. 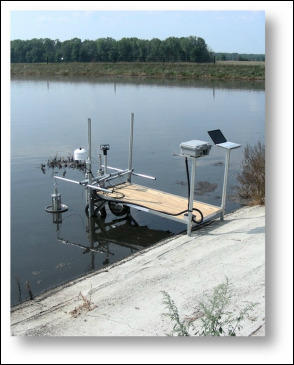 Our program features the DeltaProbe seepage meter system. This in-situ test measures seepage and overall liner system performance with known accuracy. The test uses published scientific methods along with more recent measurement technologies that enhance the utility of these established procedures. Advancements include unprecedented precision, providing conclusive, real-time results in as little as eight hours, with limited operational disruption or waste contact. Is safe and bio-secure, minimizing access to the structure and contact with waste. Operational disruptions are minimized and an engineer certified test report is available within two weeks.